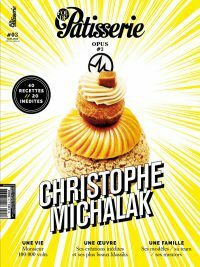 Summary of the macaroon recipes ! 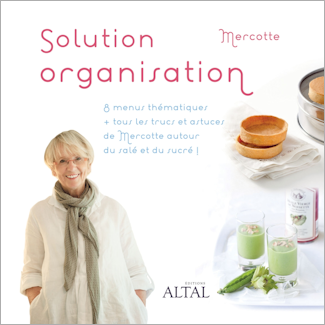 It is definitely time for a summary of the macaroon recipes found on this blog, of which there are LOTS. Since advice is sprinkled throughout all of them, I realize that trying to find that one key bit of information is like searching for a needle in a haystack! And of course we’re talking here about French macaroon cookies. The ones that are all the rage and that everyone dreams of being able to make at home! Keep in mind: If you succeed in making perfect macaroons with a different recipe, do you need to try your hand at another? And risk disappointment? It’s up to you. But if it ain’t broke, don’t fix it! However, if you don’t have much experience, or if the thought of Italian meringue has you shaking in your boots, or if you don’t have a candy thermometer [only 7 euros at Ikea], no worries—this recipe is for you. Start off with classic macaroons and you’ll be sure to get great results. It’s a quick and easy way to test your skill and get to know your oven. Place a baking sheet in the oven and preheat at 145°/150° for small macaroons, 160°/170° for large ones. Use the pulse mecanism on your food processor to blend together the confectioner’s sugar and the almond meal, making sure that they don’t overheat. Sift this mixture. Beat the egg whites until firm with 2 drops of lemon juice and a pinch of salt, allow them to foam and add the granulated sugar bit by bit. Before you finish beating the meringue, add the coloring. Pour half of the almond mixture onto the meringue, and incorporate it with a spatula by starting from the middle of the bowl and moving upwards and out. When the mixture becomes homogenous add the rest of the almond meal and sugar and repeat the same process. The batter should be a shiny, smooth, pliable, quasi-liquid mixture that resembles magma. Pipe out your shells in staggered rows at regular intervals on perforated baking sheets and you have covered with a silicone-lined baking paper. You should use a pastry bag with a 10 mm tip for this. Place the shells into the oven on the heated baking sheet. Cooking time is about 13 minutes for small shells, but if you are making large macaroons they will need a few extra minutes. Let them cool slightly before removing them from the baking sheet. If you use a silicone-lined baking paper , the shells should pop right off, no need to entice them by slipping moisture underneath! I suggest at this point that you make a small indentation on the bottom of each shell. This makes it much easier to fill them later on. Cooking times will obviously vary according to the oven. Due to certain atmospheric conditions or supernatural causes, perhaps you find it necessary to leave the piped shells out for an hour before baking to help the outer crust develop. I, on the other hand, don’t; but maybe you should give this method some thought if you consistently end up with macaroons that are cracked or have no collar. The quantities in this recipe will yield about 120 shells or 60 macarons. Macaroons freeze well. However, I do recommend freezing the unfilled shells and then filling them—without defrosting—48 hours before serving. 2 quantities of 50 g egg whites, 15 g of granulated sugar, 150 g almond meal, 150 g of confectioner’s sugar. Syrup: 150 g of sugar and 50 g water. Place a baking sheet in the oven [or several if there’s room] and preheat to 145?. Sift together or quickly process in your food processor the confectioner’s sugar with the almond meal. Beat 50 g of egg whites, which have been brought to room temperature, with the 15 g of sugar. Heat the 150 g of sugar and 50 g of water to 110° without stirring. With the beaters on medium speed, pour the syrup in a thin stream onto the meringue. Continue beating until the meringue has completely cooled [40°], about 10 minutes. Mix the other 50 g of egg whites with the sugar/almond mixture, add whatever food coloring you’re using. Incorporate half of the meringue to this mixture with a rubber spatula, by starting from the middle of the bowl and moving upwards and out. This is what the French call “macaronner.” Incorporate the second half of the meringue. Using a pastry bag with a 10mm tip, pipe the batter onto a perforated baking sheet covered with either parchment paper or a silicone-lined baking paper. Bake the macaroons for about 13 minutes, give or take depending on your oven. “Macaronner” = working the macaroon batter with a spatula to make it pliable, starting from the middle of the bowl and moving upwards and out. The batter should be shiny and smooth, supple but not too liquid. Recipe yields about 80 shells or 40 macarons. Why use aged egg whites? For recipes that call for uncooked egg whites, such as a chocolate mousse, you should only use very fresh egg whites that you separate from the yolks moments before adding them to the recipe. For meringues, macaroons, and other cookies, it’s better to use egg whites that you separate from their yolks 4 or 5 days prior to baking. Once you separate the whites, refrigerate them in an airtight container and bring them up to room temperature the day before—or at least a few hour before—baking. Egg whites that are too fresh will start off okay in a meringue, but as you beat them they will become grainy and fall apart. They will be fragile and collapse if you try to bake them. Egg whites that you shock by placing in the fridge or freezer will be more liquid, smooth, and won’t spread out when you cook them. And what about this syrup at 110?? One often reads in recipes for Italian meringue that the syrup needs to reach 117°. If this works for you, don’t change a thing. At Valrhona’s School of Chocolate, the method for macaroons calls for a syrup at 110°. The important thing is that this minimum temperature is reached. If your whites aren’t beaten to the right point, not a problem, just continue beating and let the syrup wait. However, if your whites are ready before the syrup has reached 110°, do not stop the mixer, simply lower the speed and keep it running. Melt the chocolate in a double boiler, bring the heavy cream to a boil, incorporate the cream into the chocolate 3 separate tadditions with a spatula. Add the fruit pulp. For the other flavorings, mix them into the cream before you add it to the chocolate. For the other flavorings, mix them into the cream before you add it to the chocolate. Allow the ganache to cool and refrigerate so that it thickens to a spreadable consistency. [If you’re a bit pressed for time, simply pour the ganache into a shallow 1cm dish, cover with plastic wrap, and place directly in the fridge.] Garnish the macaroons with the ganache by using to stick 2 shells together. 50 g + 150 grams of whipping cream [35% fat content], 8 g of neutral honey, 100 g Valrhona’s “Ivoire” white chocolate, 1 heaping Tbsp of instant coffee, pistachio or black sesame paste. The day before: boil the 50 g of cream with the honey, dissolve in this the coffee or the pistachio/black sesame seed paste, or make an infusion with a flavorful tea. Make an emulsion in 3 separate times with the chocolate melted in a double boiler. Allow to cool slightly and add the 150 g of cold heavy cream. Refrigerate overnight, and the following day beat until firm like you would for a whipped cream. Feel free to come up with more inspired flavor variations. Note: The proportions of ingredients are for Valhrona « Ivoire » white chocolate only. You can use milk or dark chocolate, but you will have to alter the recipe proportions slightly, making sure to take into account the percentage of cacao content of the chocolate you choose. « Ivoire » white chocolate is de rigeur if you use white chocolate for the ganache. Cheaper white chocolates tend to be overly sweet, and they will produce a lower quality ganache. Don’t forget to garnish your macaroons 2 days before you plan on eating them. Keep them in the fridge and bring them to room temperature at least 30 min prior to serving. It’s best to use high-quality food coloring, either in powder or paste. Liquid food colorings tend to change the consistency of the batter. Use the link “Bons plans” for adresses where you can find ingredients and equipement. It’s been oneyear since this recipe was first posted, and obviously lots of things have evolved. For instance, the use of Italian meringue is not all-important, and in fact equally good results can be had by using a basic meringue [see Recipe Summary]. For beginners, the basic meringue method is both faster and relatively fool-proof. 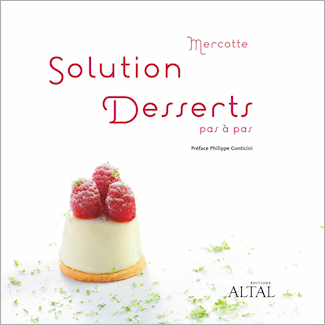 For a more complete guide to making macaroons, and for more helpful tips and tricks, check out my book : Solution Macarons… probably coming soon in english !!! 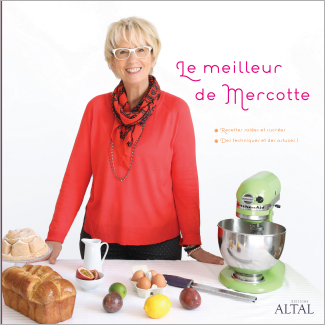 On page 22 of English version, « Sweet Macarons, » published by Taunton Press, the ingredients listed for the Italian Meringue call for 1 1/2 cups almond meal, 1 cup confectioners’ sugar for the tant pour tant. Are these measurements correct? I weighed both and the almond meal at this volume is considerably greater in weight than the confectioners’ sugar. I await your response. Thank you. 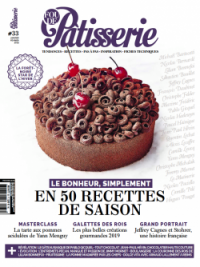 In France we weigh the ingredients, we don’t like cups is not precise enough and baking requires precision and it is much easier to use the same weight of sugar as almond powder. 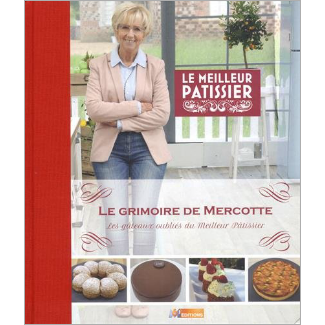 cher kathy, please provide english version as my french is too little and long time ago, BUT….I do love your recipes…!